According to a Journal of Nutrition 2011 review, many Americans may fall short of meeting dietary magnesium requirements. As MedlinePlus notes, magnesium is an essential nutrient needed for more than 300 biochemical reactions in the body, so knowing how to meet your daily needs is a must. Magnesium is an essential mineral responsible for a variety of functions within your body. It supports a healthy immune system and strong bones, helps with energy production and blood glucose regulation, keeps your heartbeat steady, and helps maintain normal muscle and nerve functions. You can easily get all the magnesium you need by eating a well-balanced, magnesium-rich diet. Magnesium recommended dietary allowances (RDAs) are as follows. *Chart adapted from the Linus Pauling Institute. The following menu is based on a 2,000-calorie plan. It's always best to check with your doctor before taking supplements. 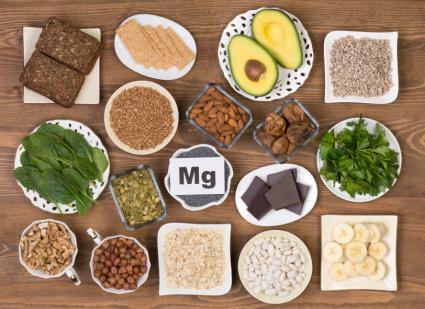 If you're deficient in magnesium, your body isn't absorbing it properly, or you're at risk for deficiency, your doctor may recommend a supplement. Fortunately, you're not at risk for magnesium toxicity by eating magnesium-rich foods, as noted the Office of Dietary Supplements. However, the maximum safe amount (tolerable upper intake level) from supplements for adults is 350 milligrams daily. Chances are good you're getting all the magnesium your body needs if you're eating a well-balanced nutritious diet. You might even be getting more than enough. While magnesium is an essential nutrient, you likely don't need a magnesium supplement unless your doctor recommends it. Getting too much magnesium from supplements can cause toxicity.